Get to know your ABN Board! Stephanie Carroll is an International Board Certified Lactation Consultant (IBCLC) who lives in southeastern Ohio - specifically Gallipolis, Ohio. She began her journey into the lactation field in 2007, when her first born, Chloe, was born. It was in 2010 that the local WIC director asked Stephanie to join the WIC team as a Breastfeeding Peer Helper at her local office. As someone who just graduated from college with a degree in Communications, this was quite a surprise career, but such a fulfilling one at the same time. So, her passion grew and took off. She became widely known as "WIC Breastfeeding Peer Helper Stephanie" on Facebook, as the first breastfeeding peer to take the education to social media. She earned her CLS (Certified Lactation Specialist) in 2012 and her CLC (Certified Lactation Counselor) in 2013. She sat for the IBLCE in July 2015, to find out she passed and earned the credential of IBCLC in October 2015, the same month she graduated with her Bachelor of Science in Leadership with a concentration on Maternal Child Health: Lactation Consulting at Union Institute and University. In early February 2019, Stephanie graduated with a Master in Business Administration from Colorado Technical University. Stephanie now works as a Sales Manager for Mommy Xpress and has her private practice in lactation consulting, Appalachian Breastfeeding Services. She works for Lactation Education Consultants as an instructor and media manager. Stephanie has continued to do contract website development and management (www.thebreastconsultant.com) for those working in the lactation field since 2013. In May of 2016, Stephanie, along with a few coworkers, thought up the idea of Appalachian Breastfeeding Network, dreaming that one day our parents would have the access to lactation care that they deserve. Basing ABN upon Ohio research in 2011 and 2016, a fire began to grow and initiatives began to piece together. In just one year, the network grew to 11 states and 250 members. In two years, the network grew to 14 states and 400 members. Stephanie received an award in March 2017 at Ohio Lactation Consultant Association's Annual "Breastfest" Conference as an "Outstanding Innovation as a Cultural Change Agent" and at this conference ABN received a $1,000 grant to help fund the 1st Annual Appalachian Breastfeeding Conference in October. ABN has been featured as USBC's June Coalition Spotlight in June 2017 and achieved 501(c)3 status in June 2017 as well. Stephanie earned the "Emerging Leader Award" from USBC in August 2018. Listed as a cultural coalition under USBC, ABN continues to grow as Stephanie, along with the rest of the board, works diligently to increase access to care. Stephanie is also the ABN Member-At-Large to Ohio Breastfeeding Alliance and Web Editor for Ohio Lactation Consultant Association, as well as the conference co-chair for USBC. When not busy with the above, Stephanie enjoys being a mom to her girls, traveling (especially Disney World! ), and jigsaw puzzles. Mishelle Trescott, LPN, CLS was born in San Diego, California. Her family traveled a lot and settled down for almost five years in Zanesville, Ohio, where she graduated from high school and joined the U.S Army as an active duty soldier. She became a National Registered Emergency Medical Technician (EMT-B). She had trained and mastered giving care in extreme circumstances. After her active military service, she continued with Reserve services and went back to school to receive her Licensed Practical Nursing (LPN) certification. As an LPN, she was able to gain experiences as a telemetry technician and critical care nurse on a critical care step down unit, emergency room care, scrub technician and care nurse on a labor and delivery unit. As she went back to school to further her nursing degree, she gave birth to her first child. She had a very hard breastfeeding experience and was unable to meet her personal goal. She also failed out of school as she became pregnant for the second time. After her second child was six months old, she went back to school and was offered a position as a WIC breastfeeding peer helper. She had the opportunity to gain knowledge from the Lactation Consultant she worked with and through school. The most knowledge she could gain came from her second experience as a breastfeeding mother, because she was very successful. Mishelle successfully completed the IBCLC in 2018. "As a WIC Peer helper I wanted to give mothers the same education and hope to succeed at achieving her breastfeeding goals. I have worked as a peer helper for six years, gaining certification as a certified lactation specialist. I have had many opportunities through experience and training to advance my counseling skills. I am hoping to complete my Bachelors of Science degree within the next year as well as move towards receiving my qualifications to sit for the certified health educator board. I am excited to help the Appalachian Breastfeeding Network to succeed with the mission and goals. I am honored to have been appointed Vice President and will do all I can to devote my time and passion towards this growing and dynamic group." Jeanna was the breastfeeding peer helper at Gallia County WIC in Gallipolis, Ohio from December 2015-December 2017. She is now the Lactation Consultant for Holzer Health System in Gallipolis, OH. She received her Certified Lactation Specialist (CLS) in 2017. She is the mother to a wonderful little boy who was breastfed for 3 1/2 years, named Ethan. Jeanna's passion for breastfeeding started when she became a mother and has not stopped even though her son has stopped breastfeeding. She is currently the secretary for Appalachian Breastfeeding Network and helped start the organization with Stephanie Carroll. Jeanna successfully obtained her IBCLC in 2018. Dyan Van Sickle works for the Athens/Perry County WIC program in Ohio as a Health Professional and Breastfeeding Coordinator. Dyan is from Hocking County, OH where she resides with her husband and enjoys spending time with her children and grandchildren. "When I first started working for the WIC program, I didn’t know much about breastfeeding. After a year of working with breastfeeding moms, I felt a desire to learn more. My training in the field of lactation began when I got an opportunity to take the CLC course. During the training, I learned a great deal about breastfeeding and felt that if moms were better informed and educated, they would be able to make better choices when it came to feeding their babies. This training planted a seed, and since then all I have wanted to do is further my education in the field of lactation so I can assist mothers who choose to breastfeed. I have since gone on to become the Breastfeeding Coordinator in our WIC clinic, and also have the privilege of being a member of several wonderful groups that advocate for breastfeeding, such as the Southeast Ohio Breastfeeding Coalition (SEOBC) and the Appalachian Breastfeeding Network (ABN), which I am currently the treasurer of. In 2017, I became certified as an International Board-Certified Lactation Consultant (IBCLC). I am excited to see what the future holds for me in this wonderful journey of providing support and education in the expanding field of lactation." Kate Tuttle is a mother of a wonderful three year old son, Bennett. She has lived her entire life in Southeastern Ohio. Most recently in Racine, OH, the heart of Appalachia. When she started on her breastfeeding journey, she was a lone traveler. She had a husband and mother who were nothing short of great cheerleaders, although just as uneducated as she felt she was. Her mom never breastfed Kate or her siblings because “you just didn’t do that then. Doctors didn’t ever talk about it. They sent you home with formula and told you congratulations”. She had to learn on her own how to navigate through the sometimes rocky terrain. But she made it! She breastfed her son for 15 months and followed his self-weaning cues. She believes breastfeeding education is important in normalizing breastfeeding. The more women who view breastfeeding as the biological norm and the more they are encouraged to do it, the more common it will become. Kate successfully obtained her IBCLC in 2018. Ophelia Griffin, CLC, is a mother of two boys and Certified Lactation Counselor since July 2018.She became a Breastfeeding Peer Counselor through ROSE(Reaching Our Sisters Everywhere) in 2017, after realizing that there was a huge diversity difference in the lactation field. Her own breastfeeding experience sparked a fire within to begin to educate her community on how important breastfeeding is. She also became heavily interested in Maternal Health, and the important of informed consent within the medical community. She hosts a monthly breastfeeding support group for POC and is the organizer of Mocha Milk Mamas created in May of 2018. Their main purpose is to empower and educate black mothers on the benefits of breastfeeding. She is dedicated to helping mothers meet their breastfeeding goals and is an IBCLC that has been conducting Breastfeeding Support Groups in the Savannah area since 2016 through her business Akwaaba Mama Support Services specifically targeting, helping and supporting women of color. Her mission is to welcome mothers to motherhood and to offer support, education, and care during pregnancy, postpartum, and during the first years of your child's life. Services provided through her business are geared to lowering maternal and infant mortality rates among African Americans. Morenike offers free breastfeeding support and education to help lower infant mortality rates and raise the breastfeeding rates in her community. She also conducts classes, outreach, and promotions at local events and health fairs. According to hospital reports the initiation rates among the African American population in Savannah has increased, since 2016. She has helped and reached hundreds of mothers. Morenike also started the first and only Savannah Baby Cafe which conducts weekly meet ups where mothers can receive free assistance from herself an IBCLC. She intends to open other breastfeeding support group locations and to work in collaboration with OB/GYNS and Pediatricians to help increase breastfeeding support to mothers. Morenike has successfully breastfed four children and when she was looking into becoming a doula and midwife found out about the lower breastfeeding rates and higher infant mortality rates among African Americans. She was astonished and made it a point to find out why and what is needed to change those disparities. She has gone across states to obtain training so that she could sit for the IBCLC exam. To her knowledge she is the first African American IBCLC in Savannah, GA. For the past two years she has hosted the only Black Breastfeeding Week Celebrations in this area and has some great ideas for this year's celebration. Morenike is working to have her thesis published in which she wrote on African American breastfeeding rates and why they exist and how they can be improved. Mallory Ratliff is a 34 year old wife and mother of 2 living in eastern Kentucky. 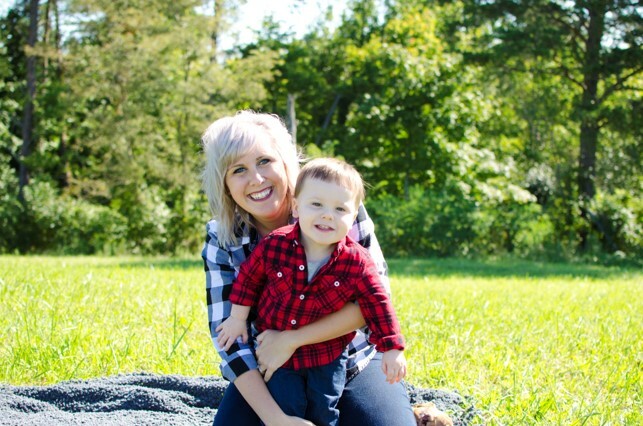 She has been an Occupational Therapist since 2009 in nursing home and school system settings in Pike County, KY. Mallory is also a Certified Lactation Specialist and is currently working toward specializing in feeding - working with infants through toddler age in the clinic setting. There are minimal feeding services offered in eastern Kentucky and this is something she is very passionate about. Mallory has also been on the Board of Directors for the Lactation Improvement Network of Kentucky since 2014. Mallory breastfed her own children 18 months and 16 months duration, respectively, which led to her passion for breastfeeding. When beginning work on her Doctorate of Occupational Therapy in 2013 (completed in 2015), it was only fitting to focus on OT’s role in supporting breastfeeding. We held a series of three focus groups over the months to determine needs of the region and create change. The experience of working with mothers and infants was tremendously rewarding. Mallory is very passionate about Kentucky, the mountains, and the people within them. I would be happy to represent Kentucky for the Appalachian Breastfeeding Network. "I am the mother of five kids and breastfed four of them for eighteen months a piece. I have been married for four years to my best friend. What made me want to help other through support and education was the lack of it that I received as well as the way that I felt. I wanted to be able to help other mother's not to experience the same thing be it through emotional support or physical. I want all women to have the knowledge to make an informed decision on feeding." Brandi began her journey as a mother at 22 in an isolated part of rural Northeast Georgia. With little confidence in her own body and even less guidance from experienced women in her life, she experienced a traumatic first birth and postpartum period. Breastfeeding was painful and Brandi sought to understand why she did not meet her breastfeeding goals. After her second child was born, Brandi came into a circle of women who supported her and brought forth knowledge, experience and encouragement. This time, Brandi had a life-changing experience with breastfeeding and knew that she wanted to devote her life to helping other mamas reach their goals too. With her third child, Brandi finally got the birth of her dreams, and at this point she was already in school to become a lactation consultant. Through the heartaches of a divorce, single motherhood, and multiple moves, Brandi finally graduated with a Bachelor of Science in Maternal Child Health: Lactation Consulting in 2016 and became an International Board Certified Lactation Consultant (IBCLC) in 2017. Brandi Has completed DONA birth doula training, and continues to serve the mothers and babies of Western North Carolina. Brandi’s passions lie in all things birth and breastfeeding, but she also holds a deep love for pregnancy and breastfeeding photography and social justice issues. Brandi is employed by Harris Regional Hospital as an IBCLC and by Jackson County WIC as their Breastfeeding Peer Counselor. In her free time, she loves exploring local breweries and biking with her children, dogs, and the love of her life, Tyler. Nikki started as an LPN in 1971, got her RN and a graduate degree, and is also an author, a teacher, a holistic lactation consultant, a craniosacral therapy practitioner, and a baby body worker (teaching Infant Massage and TummyTime!). Mother of 2 wonderful (breastfed for a long time) daughters, wife to 3 interesting men, only one of whom was the right one for the past 35 years, Rafe! Her publications include the books, Complementary and Alternative Medicine in Breastfeeding Therapy and A Breastfeeding Owner's Manual, the monographs, “Benefits of Breastfeeding and Their Economic Impact” and “Sexuality and Breastfeeding” and the educational pamphlet “How to help yourself through labor". She is a reviews editor for the journal Clinical Lactation, writes reviews for the Old-Time Herald, a magazine dedicated to old-time music, is author of the blog, Morning Thoughts, and regularly updates her Facebook page, NikkiLeeHealth. She is the administrator of the Appalachian Breastfeeding Network-Pennsylvania Chapter Facebook page. "My name is Danielle Hammonds and I am the Tennessee representative for the Appalachian Breastfeeding Network. I have been an ambassador for breastfeeding since I began breastfeeding my daughter, who I nursed for two and a half years. My experience has primarily been in orchestrating events, fundraising, education, and activism. I have coordinated Miracle Milk Strolls, Improving Birth Rallies, and banquet's for expectant mothers. I activity participate in our local breastfeeding coalition and support groups. My biggest passion is representing on behalf of nursing mothers in the workplace. I have had the opportunity to speak with human resource departments concerning their noncompliance with state and federal laws that resulted in favor of mothers. As a result company policies have been adjusted to comply with current laws. I also resonate highly with Appalachian issues such as religion or tradition based obstacles, and domestic conflict." "My lactation support journey spans 20+ years. I started my journey in lactation when I successfully breastfed my youngest after feeling like I failed miserably with my oldest. I began as a WIC Peer Counselor, continuing to work for WIC as I became a La Leche League Leader. After spending many years supporting families through WIC and LLL, I sat for the Exam and became an IBCLC. I now continue supporting breastfeeding families through my private practice in Bristol VA as well as supporting VA WIC families by working in WIC administration at the state level. I feel a deep need to work at all levels of lactation support. It is fulfilling to know that I am part of the big picture solution as well as the individual family solution. One without the other, just isn't enough!" Kate was born and raised in Columbus, Ohio. She attended Ohio Wesleyan University for her undergraduate work where she graduated in 2007 and then completed her Masters of Social Work at The Ohio State University in 2012. During Graduate School, Kate and her now husband Rusty, moved to Rusty’s home town, Parkersburg, WV. Since then, Kate has worked across the river in Athens, Ohio and now in Belpre, Ohio. Kate and Rusty have 2 children, Collin and Audra, both of whom Kate was lucky enough to breastfeed for an extended period of time. Kate is an Independently Licensed Social Worker who provides mental health therapy for children aged birth to six years old and their caregivers. Kate also specializes in providing therapy for moms who have Perinatal Mood Disorders during pregnancy and postpartum. Her professional passions are helping moms and babies/children attach and fall in love with each other. Kate is also a Certified Lactation Counselor. Lillian Scott, M.S., CCC-SLP, IBCLC (pronouns: she, her, hers)is a Speech-Language Pathologist (SLP) and International Board Certified Lactation Consultant (IBCLC). While completing her master’s degree at Gallaudet University she discovered a passion for swallowing and dysphagia in the adult and pediatric population. Curiosity regarding infant feeding practices in the NICU, bias in support of breast/chestfeeding, and wonderful mentors lead her to pursue knowledge and skills in lactation. She enjoys working with families in the inpatient and outpatient setting, completing Videofluoroscopic Swallow Studies, and Fiberoptic Endoscopic Examinations of Swallowing. Lillian strives to foster increased collaboration between the fields of SLP and IBCLCs. She is privileged to be a team member in the Lactation Feeding Clinic at UNC that supports families whose infants have complex feeding issues and families desire to offer human milk and breast/chestfeed. She was the Kentucky State Representative for ABN from April 2017-2019. When she is not supporting, protecting, and promoting breast/chestfeeding, Lillian enjoys camping, hiking, and adventure in the mountains. Jenn Foster is a Re-certified IBCLC who is a Lactation Advocate/Educator for over 16 years. She is a professor in Maternal/Child Health & Lactation Consulting (Union Institute and University) and Senior Lactation Consultant with Spectra Baby USA. In addition, she is a loving lactating mama who has recently started bereavement pumping for her baby Nolan, who they lost at 36 weeks gestation, unexpectedly. Jenn is an avid breastfeeding advocate who enjoys learning more at every chance she gets! She is happy to represent ABN through social media and other publicity avenues. Miranda is a mother of four with a passion for supporting families! She is a Certified Lactation Counselor (CLC), WIC Certified Breastfeeding Peer Counselor, Birth & Postpartum Doula and now serves as Outreach Coordinator for the Northeast Georgia Breastfeeding Coalition. She began getting involved with her community by hosting local breastfeeding events like The Global Big Latch On, volunteering with the March Of Dimes, serving on the planning committee for the March For Babies, and even worked with the city of Jacksonville, NC to get their local Freedom Fountain lit purple annually for World Prematurity Day. From there she realized that she wanted to support families in whatever ways she could. In 2010 she moved to Camp Lejeune, NC and it is there she starting supporting families in the Eastern, NC area. She has 4 children, Ross, 29 week preemie Novalee , Cordelia and her youngest Eowyn. She decided in 2017 to move back home to Northeast, Georgia Mountains where she continues supporting families. In her spare time Miranda enjoys spending time with her family, thrift shopping, watching I Love Lucy reruns.